Description: X8 Internal or X8 External Host/Target Board. Board can support Host mode or Target mode for greater applications flexibility. Gen 3 8.5Gb/s support. 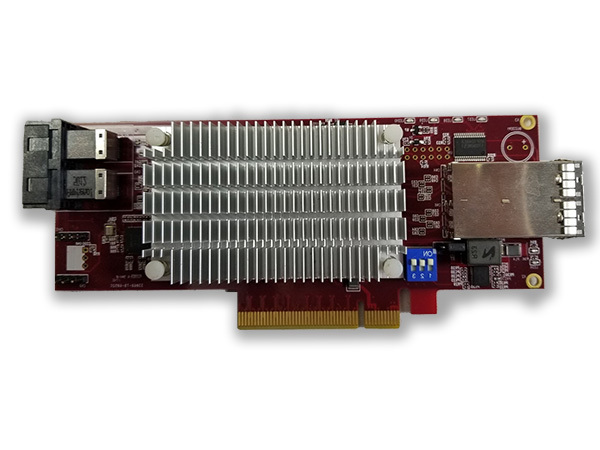 Supports 1×8, 2×4 or 4×2 on both Internal and External ports. Use with related cables PCI-4439UW or PCI-4339UW.